Click here to view map of resort. in the heart of the Chippewa National Forest. many kinds of birds and wildlife, and the area's varied recreational opportunities. nibbling at minnows in the shallows can be a real treat. Because part of the fun in vacationing is to escape the hectic schedules of daily life, we offer no planned activities. 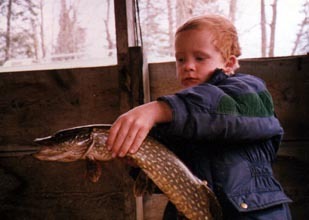 Bowstring Lake provides activities for all ages, including fishing, boating and swimming. Biking, hiking and wildlife watching are favorite pastimes. Please plan to provide appropriate parental supervision for children of all ages, especially near the water! We can suggest local events and sights, too, to interest almost everyone. The Lost Forty, Judy Garland's house in Grand Rapids, the Palace & Northern Lights Casinoes near Cass Lake and the world-famous Paul Bunyan and Babe the Blue Ox statues in Bemidji are some of the unique sights in the area. Duluth's zoo & great lakes aquarium, Lake Superior's North Shore Drive, and the North American Bear Center and Wolf Center in Ely are easy day trips. There is also the White Oak Casino in Deer River, less than half an hour away. 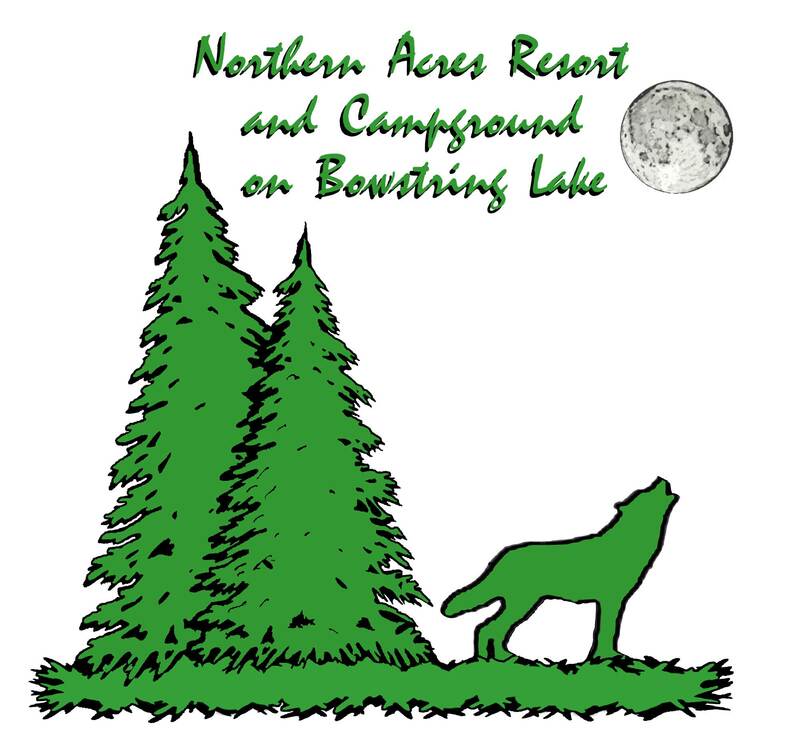 2019 will be our twenty third year at Northern Acres Resort & Campground and our first season without our mother who died in late November. 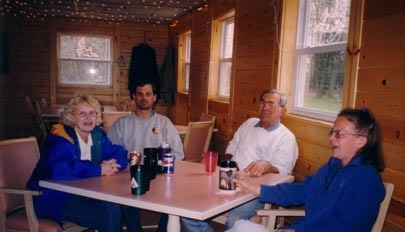 We want to extend a warm thank you to all our guests both "new" and "old" for all the fun, excitement and friendship. We encourage you to plan ahead for another busy summer. 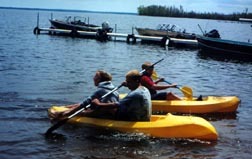 As always, our goal is to provide you with everything you need to have your best "up north" vacation ever. This photo from last summer shows our family at Mom's early birthday party in August -- Gail, Bruce, David, Shea and Gigi with Mom in center examining the new mountain ash tree planted to commemorate her 100th birthday. Brother Bruce, who lived in Thief River Falls, retired and moved to Colorado to be near his daughter and her family. He and his dog P.D. hope to join us again for a month next summer. The office is open at 8 am daily and closes at 8 pm. If we are not there, we may be mowing, cleaning cabins or doing other tasks nearby. 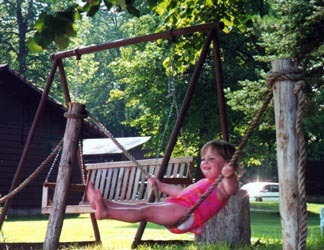 hours so we can provide directions to your cabin or camp site. You can purchase snacks & basic grocery items such as pop, beer, ice, candy, frozen pizza, canned goods, breads, and ice cream treats. Also available are souvenir sweatshirts, tee shirts, caps, jackets, tackle, bait, outboard motor gas and oil. OPEN for Lunch & Dinner!!! through Sunday, serving lunch and dinner. The menu includes a variety of meals and sandwiches, including burgers topped with David's smoked bacon. Onion rings are one of the all-time favorites. The chili is unbeatable when you want something to warm you up after a breezy day on the lake. The restaurant also offers coffee, beer and soft drinks in an atmosphere where all ages can relax with family and friends. north from Minneapolis and St. Paul. Highways 35, 169 and 6 all meet Hwy 2, which runs across northern Minnesota. Either Highway 46 or Highway 6 will take you to the resort but we find Hwy 46 faster. At the Casino in Deer River, turn north on Hwy 46 and go past Cut Foot Sioux Ranger Station then turn right onto Itasca County 35. Continue through Inger and in about 3 miles you will see a large sign for Northern Acres Resort. Take this gravel road (S. Portage Lake Rd) and follow the signs about 1.5 miles to the resort, taking a left at the first intersection and a right at the mailboxes. We are right next to the public access. The resort is only open from May through the first hard frost, but we are here year-round and the roads are maintained all year and kept well-plowed during winter months. Bemidji (BJI) is the closest commercial airport serving north central Minnesota and is served by Delta's (formerly Northwest) regional carrier, with several daily flights. Rental cars are available but be sure to book in advance. Take Hwy. 2 east from Bemidji through Bena and turn north (left) on County Hwy. 9, which intersects with Hwy 46 at Gosh Dam Place. Continue north on Hwy 46 and follow above instructions from Cutfoot Sioux on. Note that Hwy 9 is a beautiful wilderness drive that crosses the Mississippi River where it exits from Lake Winnibigoshish (Winnie). The North Country experiences the coldest weather of the season in January & February, with -20 degrees recently and a "high" of -1 degree. We've had almost daily snow in December and it glistens in the sunlight. Despite the cold, ice fishermen are out on the lake. Spring and summer weather here is extremely variable. We have had fishing openers in mid-May when parkas and snow boots were necessary and we've also had kids swimming and playing in shorts. 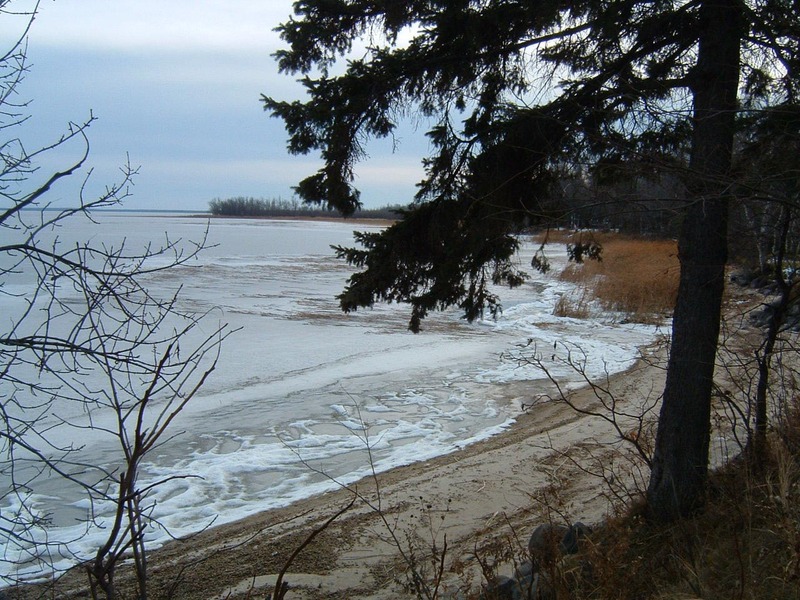 Even when it's warm in the summer, lake winds can be chilly. We recommend bringing a windbreaker and sweatshirt even in midsummer. Mosquitoes are usually plentiful, especially around sunset, and you may want a long sleeve shirt and jeans to reduce bites. We do get hot, humid days but they're rare and seldom last. According to the USDA's Marcell station, average temperatures from June through August are 60-66 degrees. December through February average is 12 to -2 degrees. Needless to say, air conditioning isn't usually needed when you're up north!